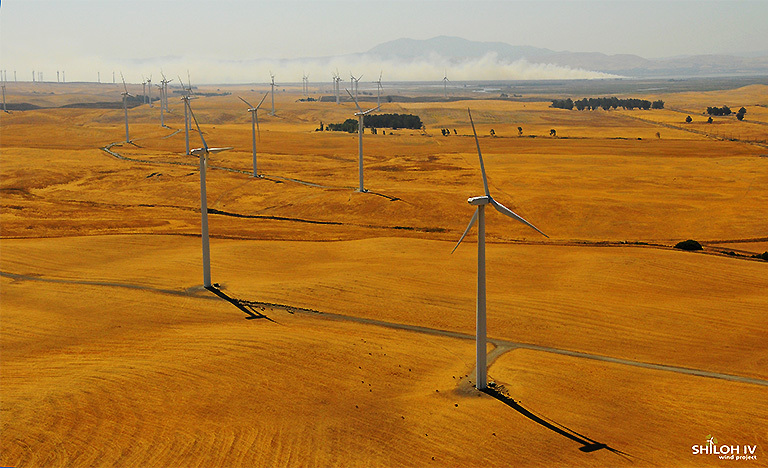 The 102.5 MW Shiloh IV Wind Project, located in Solano County, California, represents a repowering effort to upgrade old technology, allowing for increased generation of clean energy with fewer wind turbines. Repowering older projects is increasingly an important part of EDF Renewables’ project development portfolio as the legacy projects of California, built in the 1980’s, reach the end of their efficient life. The original project was installed in 1989 with an installed capacity of 25 MW. Shiloh IV project development included the removal of approximately 235 existing Kenetech 100kW turbines. The repowering effort implements today’s state-of-the-art turbine technology to achieve more than four-times greater capacity and nearly ten-times more energy with minimal addition to land resources. PG&E will purchase the power generated under a 25-year power purchase agreement. 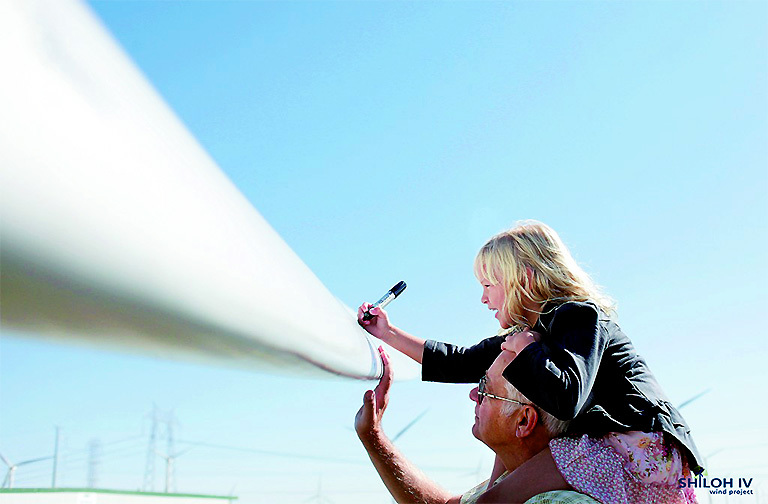 Turbine delivery began in the Fall of 2012 and the project was completed in December 2012. 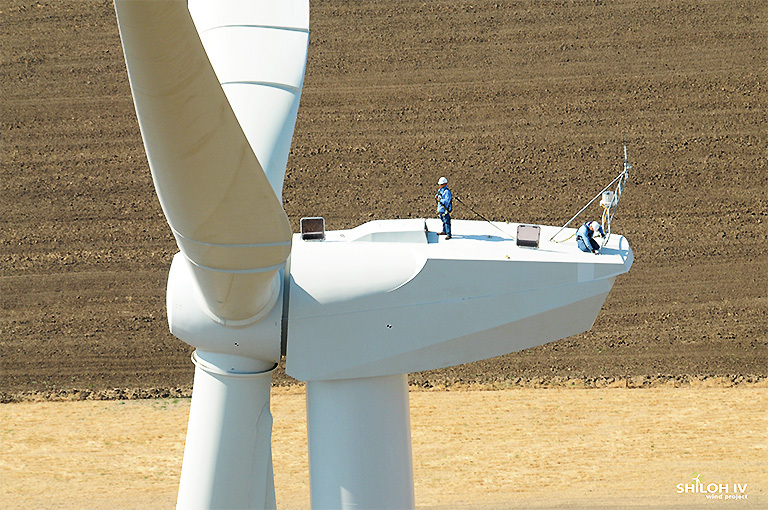 EDF Renewables provides on-site operations & maintenance services. With Shiloh IV, EDF Renewables has developed five wind projects in the Montezuma Hills Wind Resource Area, for a total of 511.5 MW in Solano County. Three of the projects, representing 355 MW, utilize REpower MM92 turbines.